Many people absolutely despise the new 2017 IS range due to its extremely aggressive front-end, as it look like it wants to eat someone, but I however, love the look of the 2017 IS300h Luxury. It’s bold, courageous and absolutely stunning (almost literally). The pricing of this vehicle is $67k AUD drive-away (we got it for less though), which is more than the base Audi A4, BMW 3 series and inline with Mercedes-Benz C-Class. At this price point you get some very nice features that are not present in the other competitors, my favourite one being heated and ventilated seats. Unfortunately, the Audi A4 (normally thought as the best in this class) has its own advantages mainly having rear cross-traffic alert and Apple CarPlay/Android Auto over the IS Luxury. 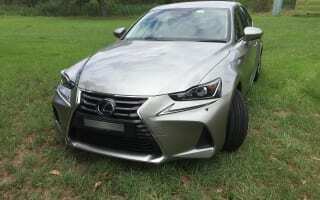 The Lexus IS300h Luxury is definitely a good valued option simply because it has the very nice heated and ventilated seats and basically most of the tech/safety features a daily driver needs. The IS300h Luxury is powered by a petrol-electric, CVT hybrid that makes a combined 164kW. 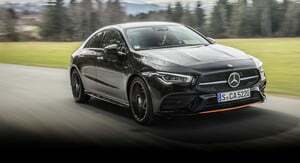 The car weighs 1720kg so it has a power to weight ratio of 95kW/ton. Remember, RMS/RTA says P-platers can’t drive cars with a P/W over 130kW/ton, so the IS300h is definitely on the safe side; it’s really not a sporty car. The fuel economy is also very good with our household, returning 5.6L/100km with a mix of city and highway driving. Floor the accelerator though and you will get up to the speed you want with no fuss. 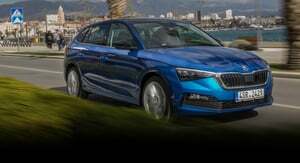 The CVT sound is there as the engine holds its peak power and lowers the gear ratio to accelerate, but it’s really not as bad as everyone makes it out to be. There’s also something called ASC (Acoustic Sound Control – IIRC) to simulate engine sounds through the speaker. It is supposed to sound like a V8, but it doesn’t (more like a kid trying to make V8 sounds with his mouth) so it’s best to leave that off. The engine is fuel efficient, but it lacks the acceleration or excitement found in turbo-4s or V6s, so I give performance and economy 7.5/10. The steering is very light and the steering wheel is nicely padded. This makes for a very relaxing driving experience. During red lights, it’s just so comfortable to rest your left arm on the centre console which is nicely padded with quality leather and is actually long enough to reach your arms. I was disappointed by cabin insulation however. Tyre roar and general road noise is comparable to my old 2007 Mazda 6. It’s not deafening by any means, but it’s definitely pronounced during driving. Engine noise is also okay, but during cold starts, it can be very rough as it suddenly kicks-in, breaking the silence of the electric motor. Overall, it’s just so comfortable driving this car, that I rate comfort 8.5/10, and handling 8/10. 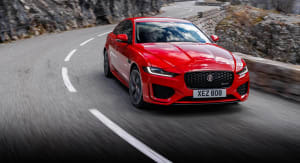 This car features most of the technology and safety features a driver needs, but if you want every feature out there like 360-degree parking camera, head-up display or autonomous parking, you should get a car from the competitors. The Luxury variant misses out on some cool driver assistance features like rear cross-traffic alert (which can be found on the F Sport), but the important ones like rear and front parking sensors and rear-view camera are here. The new 10.3-inch infotainment screen is a very welcome addition to the 2017 IS range. It makes the car look very expensive, but the system overall is really unintuitive. Most of the time, you can only use half of the screen for a menu and the other side for other things like radio or mini map. This can be helpful at times, but if you wanted something to take the entire screen, you are literally not able to, except for the map and the main menu. The mouse like controls for the system takes a bit of learning as well, but it does its job. However, push it slightly too hard and the cursor will teleport to a button you did not want to click and getting it back can be just as hard. 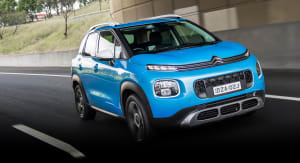 The nav system is also alright, but it lacks features like displaying the speed limit of the current road, which are present in many $100 GPS units from JB HI-FI. Connecting a phone via Bluetooth is easy, but navigating to the required window could be again, quite tricky with the finicky mouse. For the adequate amount of tech and safety assists, I give it a 7/10. 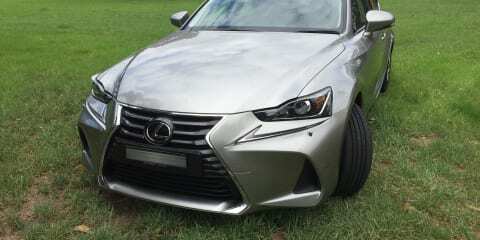 The Lexus IS300h Luxury is just a very comfortable car to drive and it’s fuel efficient. 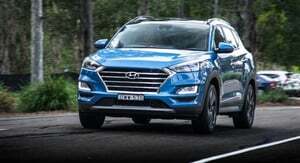 In areas like performance and tech, it lacks behind its competitors and even some cars under $30k AUD. However, for it’s $67k driveway, it’s definitely a good matchup against the Audi A4, BMW 320i and Mercedes Benz C200.